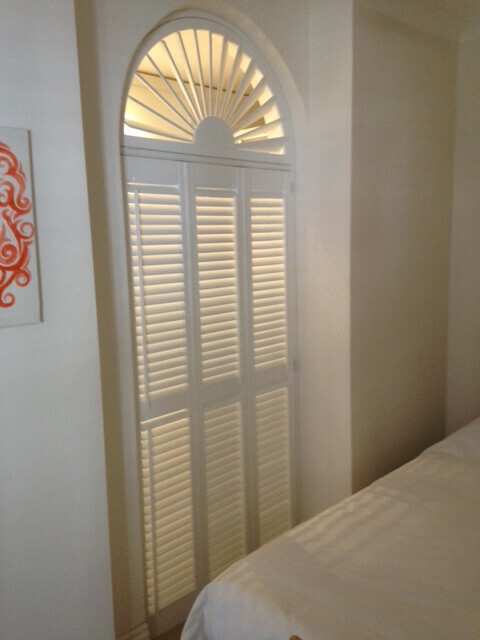 Shaun & Ben were recently in Brighton to fit some of our special shape shutters to a window for the homeowner. 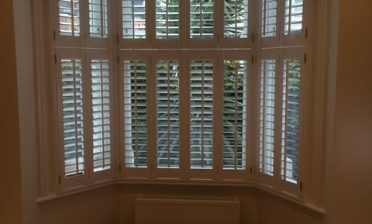 By bespoke designing and installing our shutters we are able to guarantee the perfect fit to all shapes and sizes of windows and openings. This customer in Brighton had a window with an arched top which we can fill in a few different ways. With our expert advice the client opted for a sunburst top and t post. 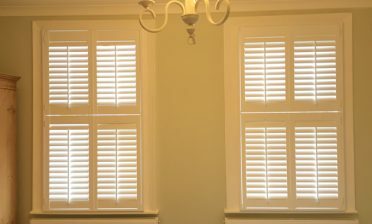 The bottom sections of the shutters were created using full height panels with a mid-rail for strength and the ability to adjust sections of the shutters individually. The shutters were created from our Fiji Range which is suited to all environments and can be installed almost anywhere, with the ability to custom shape in many different ways. 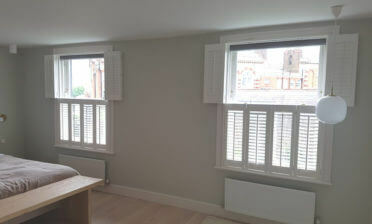 We used 47mm louvres with offset tilt rods throughout. They were then finished in pure white paint with matching hinges.